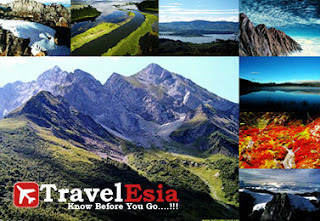 Lorentz National Park - Lorentz National Park - Earth Papua Always Just Being Favorite Travel Destinations in parts of Indonesia once east part .Many Tourist Places in West Papua which can be an alternative destination. 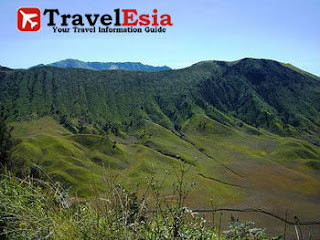 Its natural beauty is often overlooked because of its location in the eastern region of Indonesia. However, make no mistake, just because of its beauty captivate the tourists, including foreign tourists. Lorentz National Park is located in the province of Papua Province 2 precisely in Jayawijaya, Paniai and Merauke and West Papua in Fak-Fak regency. This area was formerly still a Nature Reserve, only after the issuance of Decree of the Minister of Agriculture in 1978, the area was designated a National Park covering an area of ​​2,150,000 hectares which then expanded again in 1997 to the extent to 2.5056 million hectares. In 1999, the National Park was designated a world heritage site in Indonesia in addition to Komodo Island National Park and Ujung Kulon National Park. 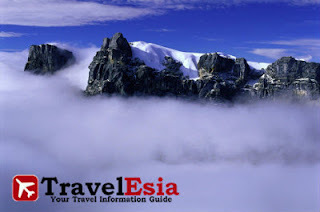 Location of the National Park stretches from the top of the mountain with an altitude of 5,030 meters above sea level Jayawijaya are covered by eternal snow to coastal waters with mangrove forests in the Arafura Sea. Therefore, it is not wrong if this national park is representative of the complete ecosystem for biodiversity in Southeast Asia and the Pacific. Lorentz National Park Authority is representative of the complete ecosystem for biodiversity in Southeast Asia and the Pacific. 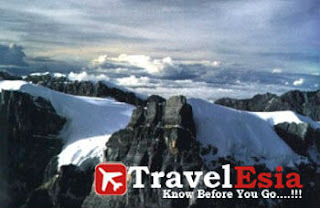 This area is also one of the three regions of the world that have glaciers in the tropics. Why I Should That's where? Location of Lorentz National Park that stretches from the summit of Mount Jayawijaya (5.030m asl) snow-covered, until the coastal waters with mangrove forests, making this region has a representative most complete ecosystem for biodiversity in Southeast Asia and the Pacific. In the stretch, there is a spectrum of ecological stunning alpine vegetation of the region, sub-alpine, montane, sub-montane, lowland, and wetlands. Lorentz National Park has mangrove roots neatly arranged above sea level. These roots, as a decoration surrounding seaside Lorentz National Park. Meanwhile, the western, eastern, and north, filled with lush trees, interspersed with rivers, both large and small. This river flows, besides being able to decorate the edge of the mountain, also forms a waterfall at some point in the national park. Most of these rivers, flowing into the earth Papua, and forming an underground river. The diversity of flora in the region, followed by the diversity of fauna as well. Presented, in this area there are about 42 species of mammals, most of which are endangered species, and two of which are new species. Mammals in the region, among others, tree kangaroos, porcupines irian, water vole, brown wallaby and possum spots. 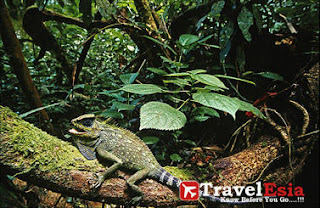 In addition, this region is also home to around 45 species of birds, one of the most famous and rare is paradise. ASEAN by the ASEAN countries In addition to having high biodiversity, another uniqueness of Lorentz National Park is where the glaciers atop Mount Jayawijaya. In Indonesia, there are glaciers like this only in the Lorentz National Park. Around this same Jayawijaya mountain region, there are three large lakes, namely Lake Larson, Dyscovery Lake, and Lake Hoguyugu. Travelers who visit this park, not only can enjoy the natural beauty, but also can enjoy cultural tourism. 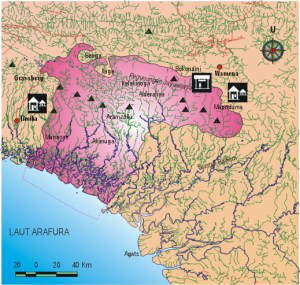 This area, also are home to tribes Nduga, Western Dani, Asmat tribe, tribal Sempan, and Amungme. Culture of people who live in this area has been there since about 30,000 years ago. Lorentz National Park area itself, is administratively covers three districts in the province of Papua, Jayawijaya, Paniai and Merauke. While the western part of this region, is part of the Fak-Fak regency, West Papua Province, Indonesia. To achieve the Lorentz National Park, visitors can use the pioneering aircraft from Timika city to the northern part of the Lorentz National Park is located in the district of Paniai. Moreover, by using the pioneering aircraft, visitors can also fly to the south, specifically to Merauke. Of this district, visitors can use the ship through the Port of Sawa Erma, and continued with the path to several locations. Lorentz National Park has not provided a variety of accommodation and facilities that support. Tourists visiting the region are advised to bring appropriate camping equipment. In addition, visitors are also advised to make use of the facilities provided by nature for the rest, such as caves, plains, lakes, and so on. Most of this area is a forest untouched by human alias is still natural. A total of 34 types of vegetation located in this area include swamp forests, riverside forests, sago forest, peat forests, coral sand beaches, rain forests, mountains and other forests. Mangrove and nipa plants also adorn most of the south side of this area. Because it is still natural for accommodation, so it is advisable to bring enough supplies such as tents or other equipment. Visitors can use the cave for rest or lowlands.